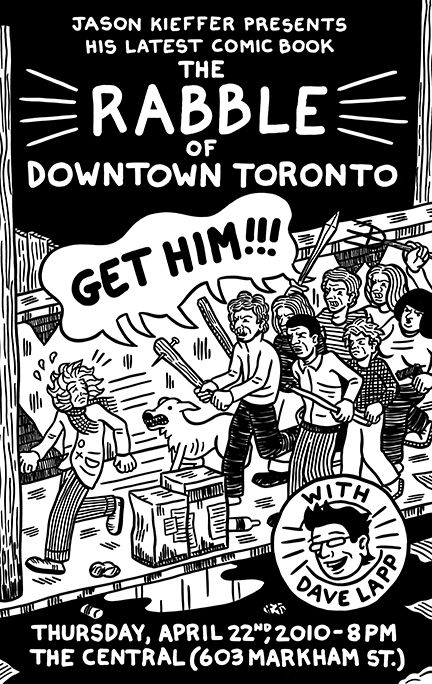 Jason Kieffer is giving a presentation on his most recent comic book, The Rabble of Downtown Toronto. Cartoonist Dave Lapp will join Jason for an onstage interview about the book. This entry was posted in Gene Day Award, Happenings, Press Releases by Robert Haines. Bookmark the permalink.